Gillbrite specializes in the selling of wholesale hardscape lights nj. Simply go to our buy lights page and place an order! We ship anywhere! If you are interested in a larger order we offer discounts. Feel free to call us at anytime 908-313-5220 with any order requests! We deliver locally in New Jersey and offer local pick up as well! When you are in need of wholesale outdoor hardscape light nj you can rely on Gill Brite for the excellent quality and warranty on our lights. We stock thousands of lights at our local warehouse in New Jersey! Our goal is to provide a reasonable price for a high quality light to our local outdoor hardscape supply stores. We specialize in wholesale outdoor lighting nj. Giving a product at an affordable price to local landscape suppliers. Outdoor paver lights are great for keeping your home lit up when it gets dark out. It is a must to have your walkways and driveways lit up when walking inside. Gill Brite has wholesale led lights nj in stock all year round! We ship anywhere to the continental United States. Our company mainly focuses on wholesale lights, however we also do retail as well. Our lights are high quality and long lasting. Gill Brite is a manufacturer of wholesale led lighting nj. We are able to take orders of lights anywhere from 10-10,000 lights! You just let us know how many you need! Right now we only have 3 lights, but we are expanding and adding more lights every few months. Check back periodically! We carry wholesale low voltage led lights nj. We offer low prices for high quality lights with excellent warranties. Your lights will last you for many years to come! We sell wholesale low voltage led lights nj, pa, ny, ca, and anywhere else in the continental United States. 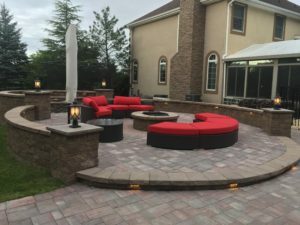 This entry was posted in Wholesale Hardscape Lights NJ and tagged Wholesale Hardscape Lights NJ, Wholesale Led Lighting NJ, Wholesale Led Lights NJ, Wholesale Low Voltage Led Lights NJ, Wholesale Outdoor Hardscape Light NJ, Wholesale Outdoor Lighting NJ on December 15, 2017 by GiLLBRiTE.